Apparently unsatisfied with Darth Cheeto's words today on Frederick Douglass (??? 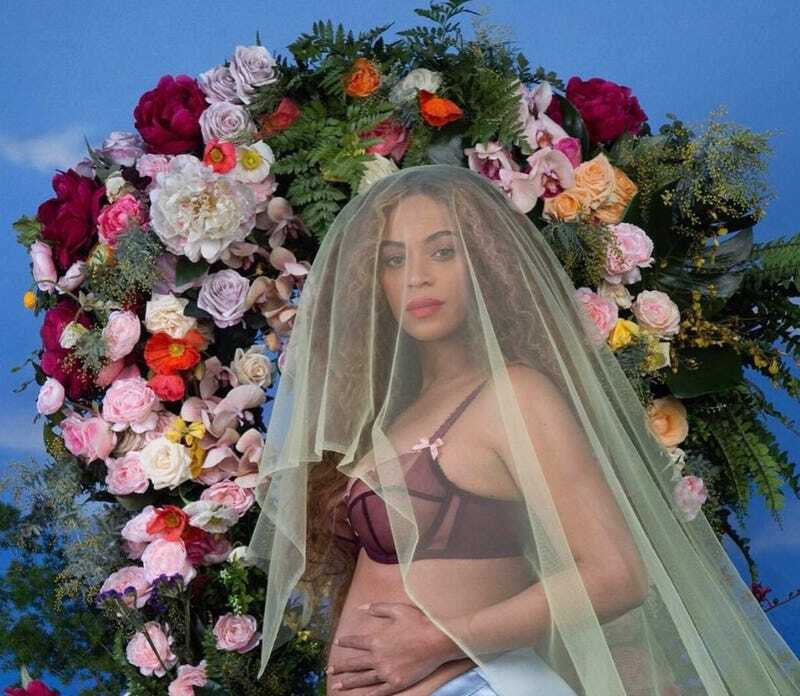 ), Beyonce decided to put the whole entire Black History Month in formation by revealing that she's pregnant with twins. This, of course, is great news. For the Carters. For the culture. For Black love. And for Beyonce, who'll now be able to add "I can't this weekend cause the twins are teething" to her already impressive list of excuses for not accepting Kim Kardashian's invitations to brunch. Mostly though, this is great news for the people at the Sears Portrait Studio. Because this beautiful announcement photo was totally, definitely, 100% taken there (nttawwt), and they'll be super excited about all the new business they're going to receive this month. Happy Black History Month and Beyonce Is Pregnant Again Day!